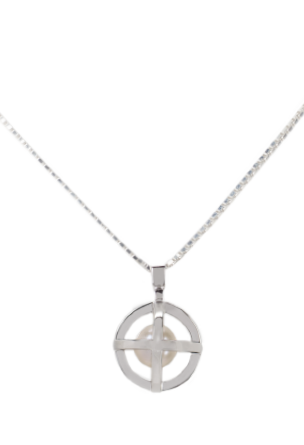 The necklace with the modern interpretation of pearl design will make a bold, still delicate, statement. It is part of the smallest, most sophisticated collection Stefanie Heinrich has ever designed. The Hidden Globe shows a precious sweetwater pearl in a silver cage, intending to cover and present it’s delicate beauty at the same time. 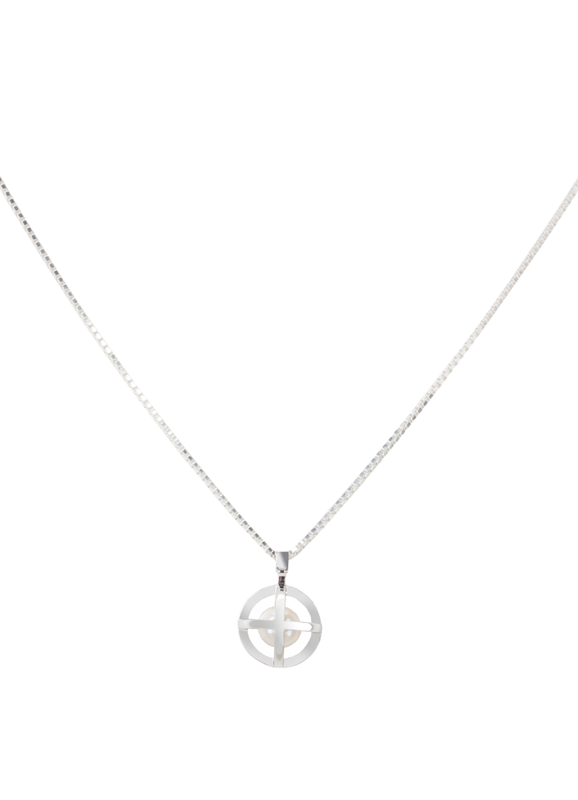 The Hidden Globe Necklace is a versatile piece that is a perfect completion of a modern, yet elegant look. MATERIALS Chain and pendant: rhodanized sterling silver Pearl: genuine white round sweetwater pearl with a slight rose shine MEASUREMENTS The chain has a total length of 50cm. 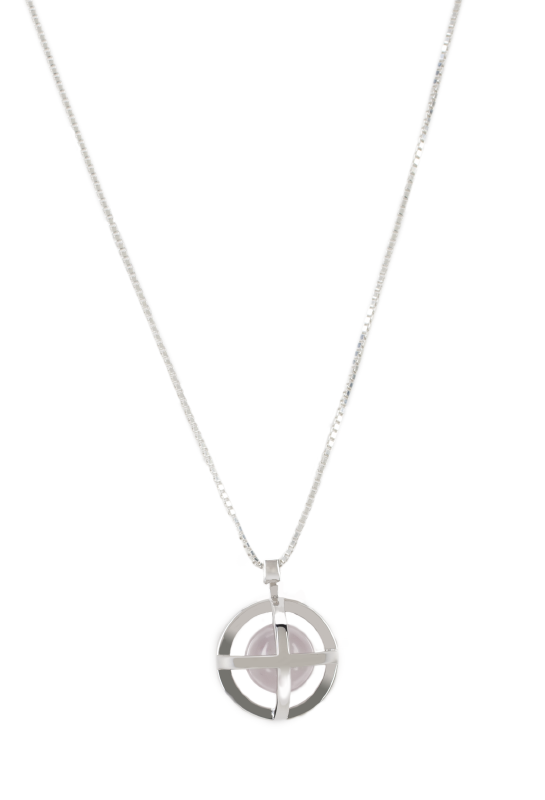 The attached Hidden Globe pendant has a diameter of 18mm The round sweetwater pearl has a diameter of 10mm. CARE The silver is rhodanized to protect it from oxidation, to keep the beautiful shine and make it more resilient against scratches. 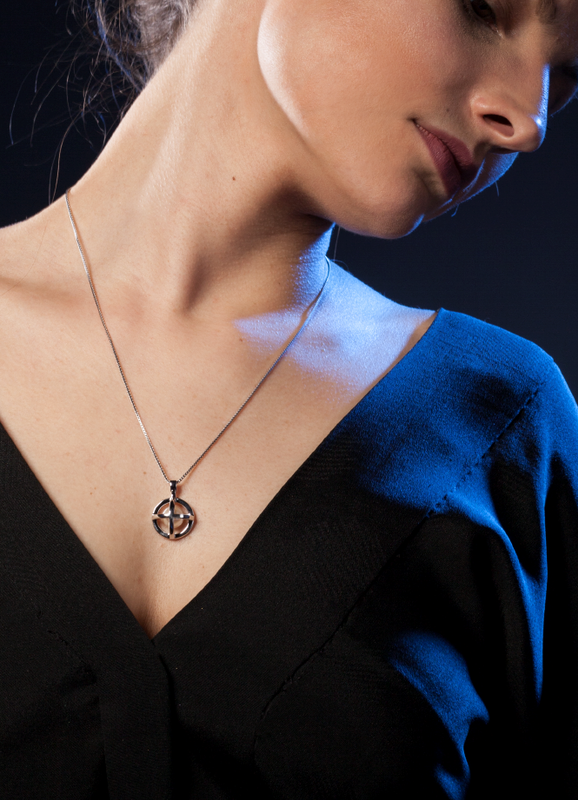 Anyhow, this delicate piece of jewelry is made of precious materials, which deserve a careful handling. Pearls and silver should be protected against any kind of chemicals, including soaps. The jewelry should be stored seperately to prevent it from scratching, the best is to keep the jewelry in the original box after wearing.